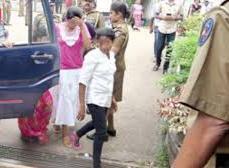 Eight students of the Kelaniya University, who were accused of ragging a first year student by berating her in obscene language and obstructing her daily routine, were on Tuesday (31) ordered to be re-remanded until 14 June by the Mahara Chief Magistrate, Mahinda Prabath Ranasinghe. When the case was taken up for hearing on Tuesday, State Counsel Neomie Wickremasekera told Court that legal action could be filed against the first, second, third and eighth defendants for sexual harassment, according to the Ragging Act and the other four defendants could be charged with ragging. State Counsel also informed the Court that the student who is alleged to have been subjected to ragging, was receiving threats via the internet as well. Subsequently, the Magistrate ordered the Kiribathgoda Police to conduct an investigation into students engaged in threatening the victim and immediately arrest and produce them in Court. The Magistrate informed the defendants' lawyers that bail could not be granted through the Magistrate's Court as the suspects have been charged under the Ragging Act. He said they would have to apply for bail to the High Court. W. M. Gihan Akalanka, Manjula Pushpakumara, W. Saman Chanaka Fernando, Thushara Sampath, Athula Priyadharshana, Rasanjalie Fonseka, Rangika Nadeeshani Dilrukshi, and Thilini Dhanushika Dilrukshi are the eight students who have been re-remanded. The complaint was presented to the Court by Police Sergeant Jayantha (32873) on the instructions of Chief Inspector S. K. H. Meeellage, the Officer-In-Charge of the Kiribathgoda Police. Attorneys-at-Law Sisira Jayakody and Deshal Paul represented the defence.